Helpchat offering order zomato food using helpchat app and get 40% Cashback on Rs 199. Use Helpchat to order food on Zomato and earn 40% cashback on Rs. 199 (upto Rs. 150). 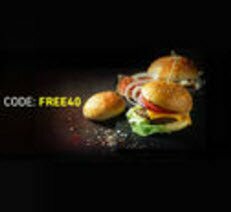 Use code FREE40 to avail this offer. Offer valid once per new user from Zomato on Helpchat. Offer is applicable on the android version (V4.5.9 & above) of app. Cashback will be given on the final payable value after discount. Minimum Order Value to avail the offer is Rs.199. Valid on orders paid through online mode of payment. Offer is applicable on all restaurants from Zomato on Helpchat. Additionally, get discount upto 20% on selected restaurants. Valid Till: June 26, 2016, 11:59 p.m.
Helpchat does not make any waranty in relation to the offers, including without limitation their validity and/or value. Helpchat is not party to any transaction that the advertiser and user may enter into. How to get 40% Cashback on Zomato using Helpchat? – This offer is valid thrice per user. – Offer is applicable on the android version (V4.5.9 & above) of app. – Cashback will be given on the final payable value after discount. – Minimum Order Value to avail the offer is Rs.199. – Maximum cashback is Rs.150. – Valid on orders paid through online mode of payment. – Offer is applicable on all restaurants from Zomato on Helpchat. – Cashback will be credited within 48 hrs. – Additionally, get discount upto 20% on selected restaurants.